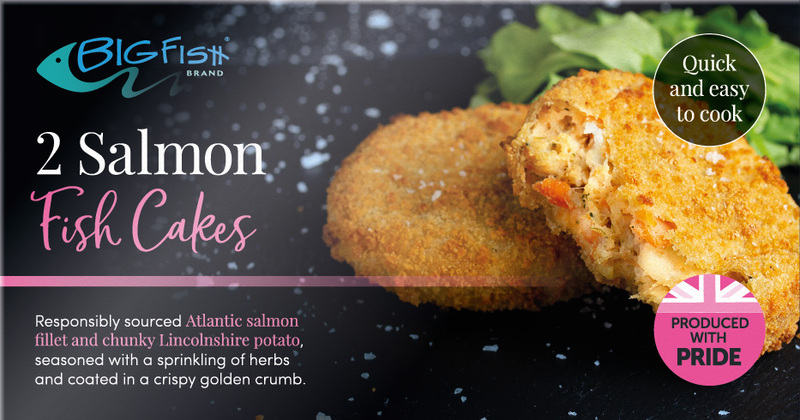 It’s Friday, it’s Seafood Week and we’re celebrating with the launch of our delicious BigFish Brand Fishcakes. 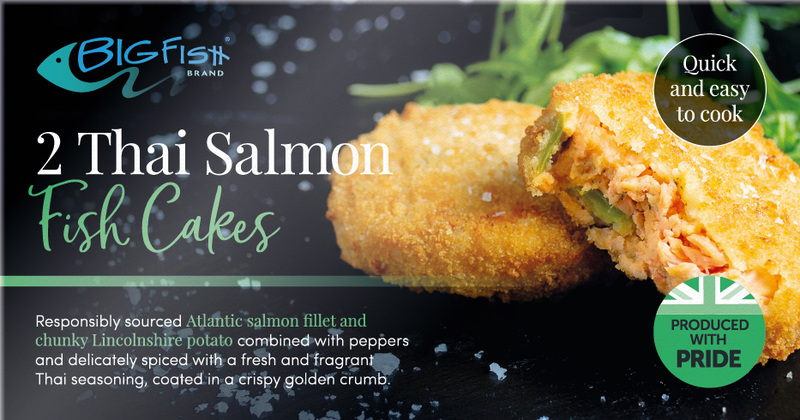 Everyone loves a good fish cake and we’re really proud of ours. 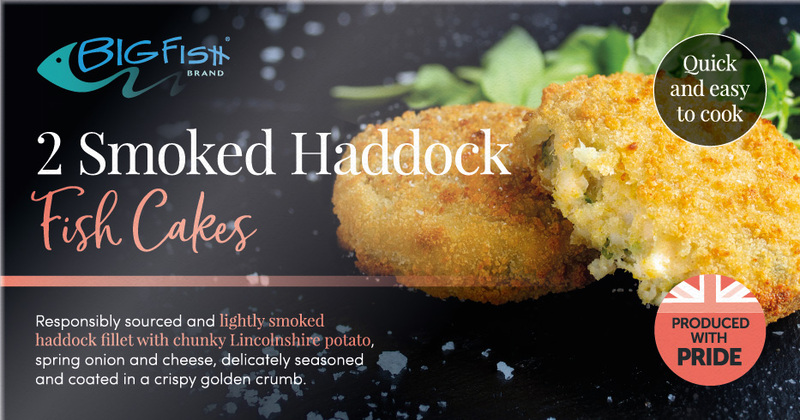 Each of our four brand new recipes is made in Grimsby and combines top quality fish fillet with chunky, locally-sourced Lincolnshire potatoes, all coated in a light crisp crumb. Choose from Salmon, Thai Salmon, Cod or Smoked Haddock. Plus, we’re really pleased to have been able to put this range in a fully-recyclable cardboard carton – with absolutely no plastic packaging. 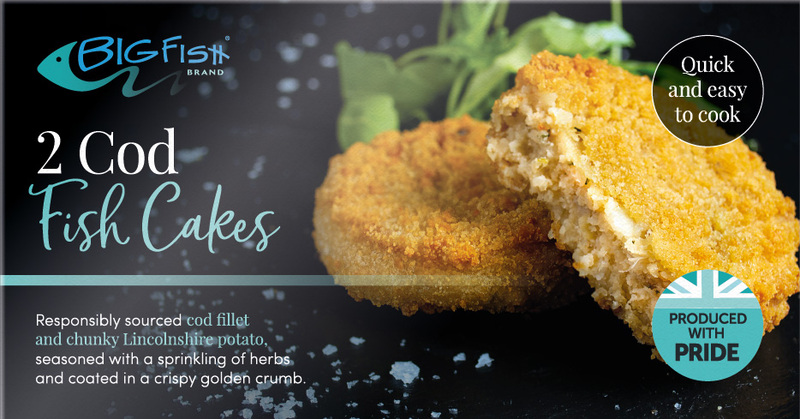 So check out these lovely new fish cakes on our website and celebrate #FishCakeFriday with us!